Making dried shrimp is one traditional job in areas close to the sea like Binh Dai sea of Ben Tre province, Viet Nam. In April and May and ending months of the year this job is very busy for local people here. 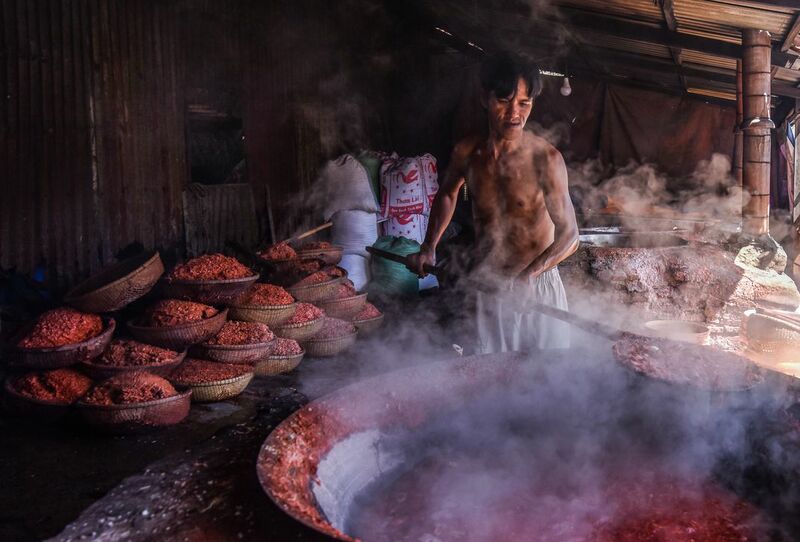 Before sun-dried shrimp outside the yard, shrimp will be hard boiled inside a big pan in the certain period of time. Dried Shrimp are used in many delicious cuisines of Viet Nam and Asian countries. Date Uploaded: April 20, 2018, 8:56 p.m.